It is a sad day, as we mourn the untimely passing of our dear sister, colleague and comrade. On behalf of the Government of the Republic of South Africa and on behalf of the nation, I offer my deep condolences to the family. To her mother, Mme Esther Nnana Mmethi, to her daughters Keneilwe and Didi, to her sons Michael and Basiame, and to her siblings, I say, your sorrow is our sorrow, and your pain is our pain. I express to you our profound gratitude for having shared your daughter, mother and sister with us. We know only too well that her commitment to the struggle of our people for freedom and dignity came at a great personal cost to the family life she so cherished. We are gathered her to bid her farewell, but also to commemorate and acknowledge her immense contribution to her country. Dr Bomo Edna Edith Molewa’s life was one of sacrifice, selflessness and service – dedicated to the founding values of the organisation to which she dedicated her life, the African National Congress, and dedicated to realising the objectives of our democratic Constitution. She will be remembered for her unwavering belief in constitutionalism, in democratic values, in the unity of the South African people, and in the central role of government in forging a society based on freedom, justice and human rights for all. She was a woman of courage, of extreme professionalism, and, above all, of principle. These are qualities she displayed from her early years, and which guided her throughout her rich political and professional life. 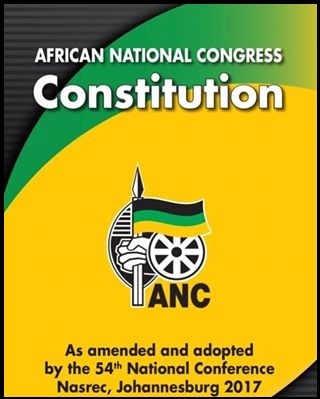 It was as a young teaching student at the famed Hebron College in the 1960s that the first stirrings of political activism were awakened and she first began to identify with the aspirations of the then banned ANC. Apartheid was at its height and the student and labour movements were actively working underground to overthrow the National Party government. She participated in the ANC underground, in the liberation army Umkhonto we Sizwe, in the civic movement and later in the trade union movement. For her loyalty to the liberation struggle she paid a harsh price. She was detained countless times. She was arrested in 1989 while still nursing her infant son and held in solitary confinement for six months. Comrade Edna was one of the founding members of the Congress of South African Trade Unions and served as second Deputy President of CCAWUSA, and later the first Deputy President of SACCAWU. She was an active leader in the trade union movement right until the early 1990s when the apartheid government and the liberation movement first began the negotiations that led to the unbanning of the ANC. Her entry into government began with the birth of our democracy, when she was amongst the first group of ANC parliamentarians in the new democratic Parliament. It is in tribute to the outstanding legacy that the late Dr Molewa has left behind that tributes to her have been received from the environmental and conservation community around the globe. She was a key figure in international environmental governance and was a leading voice in the development of and the subsequent adoption of the UN Agenda 2030 for Sustainable Development and the Sustainable Development Goals. The late Dr Molewa executed her role as Minister of Environmental Affairs with diligence, with excellence and with dedication. She lent immense stature and gravity to the role. She has ensured that the conservation of the environment has become a catalyst to advance the objectives of the National Development Plan. We have lost a leader who was widely respected on the world stage, due in large part to her role in the global effort to combat climate change. It ws under her leadership that South Africa formulated its first National Climate Change Response Policy and National Adaption Strategy. 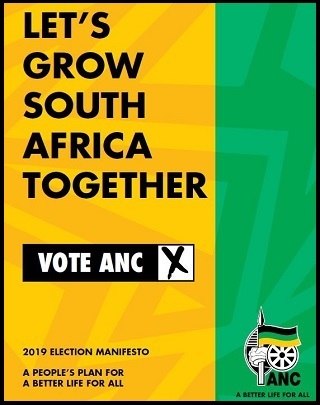 Our robust response to the threat of climate change had its genesis at the COP17 summit in Durban in 2011. As leader of the South African negotiating delegation, Minister Molewa threw herself into an intense period of international diplomacy. This conference laid the groundwork for the historic climate change Paris Agreement in 2015, which Minister Molewa worked tirelessly to ensure was concluded and ratified. South Africa and the international community has lost a true champion of the cause of environmental justice and sustainability as a foundation for equitable socio-economic development. Dr Molewa provided leadership on the whole spectrum of issues in the environmental sector; from green economy, to biodiversity conservation, to wildlife management and protection. It pained her that the ocean’s health was being threatened by degradation, over-fishing, oil and plastic pollution. As part of the global effort to strike a balance between economic development and ocean health she was at the time of her passing preparing to launch a Source to Sea initiative, a national and international movement to address the sources of marine and river pollution at source, to restore our water systems to good health and to eradicate pollution. She was passionate about enhancing our role as a country in oceans research, especially in Antarctica and the Southern Ocean Islands. She believed that African nations must first understand the oceans and their mysteries if they are to benefit from the opportunities they offer. She launched the first of a series of multinational Indian Ocean research cruises on our polar supply vessel, Miriam Makeba, staffed by young scientists from the Indian Ocean Rim Association countries. She had invited me to travel on one of these research cruises to Antarctica, an invitation which I still hope to honour. Dr Molewa was clear that the environmental portfolio in government was so much more than a regulatory function; but a real catalyst for economic transformation. She was passionate about the role of the waste economy in addressing poverty alleviation and job creation. She was determined to provide dignity to waste-pickers by providing them with opportunities and tools of trade. It was under her leadership that South Africa pioneered the Recycling Enterprise Support Programme that has already made a material impact on black owned and managed enterprises. Her work has helped to ensure that more waste materials are diverted from landfill, and that materials such as tyres, electronic waste, paper and packaging are used to create much needed jobs and grow economy. She understood that such programmes were a critical part of the national effort to fundamentally transform our society. She championed the involvement of communities in the mainstream of conservation. She insisted that the country’s unique biodiversity held untapped potential to address South Africa’s job creation challenges. She fought for the transformation of the biodiversity sector, to advance the principles of access and benefit sharing from our natural resources, while ensuring responsible management for long term survival and sustainability of species in the wild. She was a daughter of the South African soil, with deep love for nature, for her country and for the African region. She led from the front and could often be found out in the field herself, in the trademark SANParks ranger uniform. She had a soft spot for the rangers in our national parks and gave them her firm support as they confronted ever more complex and ever more dangerous tasks. She pushed for the roll-out of a range of environmental programmes that offered work opportunities, skills development and training to thousands of young South Africans across a range of fields, from natural resource management, to fire suppression, to rhino conservation, to waste management, to eco-furniture production. It is testament to her hard work that the environmental programmes of the Expanded Public Works Programme continue to be among the most successful we have today. I want to single out here the Working for Water programme, which Dr Molewa was particularly passionate about. This programme offers young people work opportunities to clear invasive plants, which not only threaten our biological diversity but also our water security. In a number of eco-furniture factories across the country, the biomass from cleared alien vegetation is being used to produce various wooden products such as school desks and low-cost coffins. True to her character, the late Minister Molewa told her colleagues and family that someday she wished to be buried in one of these eco-coffins. This wish has been realised through the provision of the wonderfully crafted coffin, made from invasive alien timber, that we see before us today. The concept has expanded to perhaps its greatest potential, that of building high-quality human settlements, schools, toilet blocks and other structures, using invasive alien plant biomass. Among the first programmes to have grown out of the Working for Water programme were the Working for Wetlands programme and the Working on Fire programme. One can see the discipline, fitness and dignity of the men and women from Working on Fire who are helping as marshals at today’s funeral, in their bright yellow shirts. Dr Molewa was always a champion of women’s issues, and it is remarkable to note that no other country has a wildland fire-fighting capacity that has more than 10% of its fire-fighters being women. Today, nearly a third of South African wildland fire-fighters are women and we are determined to grow this further in honour of her memory. Minister Molewa will be forever remembered by South Africans for her efforts to conserve the country’s wildlife, in particular our rhino. She had promised us that rhino would not go extinct on her watch, and this has been proven to be both prescient and true. And yet, while we should welcome the fact that rhino poaching figures on the decline, we know that there is yet much more to be done. The fight against poaching is not over, and we who remain must take it up with as much determination and passion as our dear sister did. In the last days of her life, Dr Molewa and her department were in liaison with my office to launch a landmark campaign to mobilise all South Africans to become environmentally conscious. 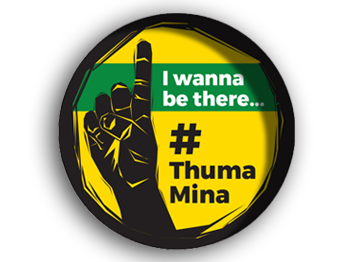 The #Thuma Mina Good Green Deeds programme is aimed at changing behaviour towards littering, towards illegal dumping, and towards waste in general. We will launch this campaign in her honour and spread her message to all South Africans that it is the responsibility of each of us to keep our communities clean. So long as millions of our people still bear the brunt and ill-consequences of poverty, inequality and underdevelopment, her work is not done. She never waivered in her commitment to the upliftment of our people and to the protection of their rights. We must draw lessons from the life of our departed colleague and comrade, wholly embracing the concept of cadreship and of putting the interests of the collective above those of the individual. If we are to retain the trust and faith our people have in us, we have to return to the values upon which our movement and our nation was founded. We have to remind ourselves – as she often did – that our society will never be truly free unless we are able to advance the cause of the poor and the downtrodden and improve their condition. Dr Bomo Edna Molewa never took the easy road, but rose to the challenge with every role to which she was deployed. Her legacy is deep, impactful and enduring, as it is assured. It is because of leaders like her that we will be able to bequeath to our children and grandchildren that which is the greatest gift of all – our natural world. She has returned to her Maker – and she joins the pantheon of exemplary women leaders and icons to which this country has given birth. We evoke your memories and spirits – boMama Lilian Ngoyi, Albertina Sisulu, Charlotte Maxeke, Helen Joseph, Ruth Mompati, Dorothy Nyembe and Winnie Madikizela-Mandela. Receive her, your sister and comrade; a leader who understood too well the dictum that we must become the change we want to see in the world. She has left this mortal world, but her work and her legacy is all around us. It is in the rich African soil, it is in our clear blue skies, it is in the abundance of our oceans, in the unique plants and the bountiful wildlife that we cherish and respect and preserve. Her legacy lives on in the people of this great land, as they strive together, sparing neither strength nor courage, to build the free, equal and just society to which she dedicated her very being.